Swing Patrol Brixton Hill started life as Swing Patrol Streatham in early October 2012, headed by our loveable rogue Rupert Sanford-Scutt and partner in crime Leah Massey. Some were intrigued to see how these two fresh cadets would get on in a little dance studio out in South West London – and low and behold they built a truly fantastic community in just a few months! Class notes from 29th Nov 2012! 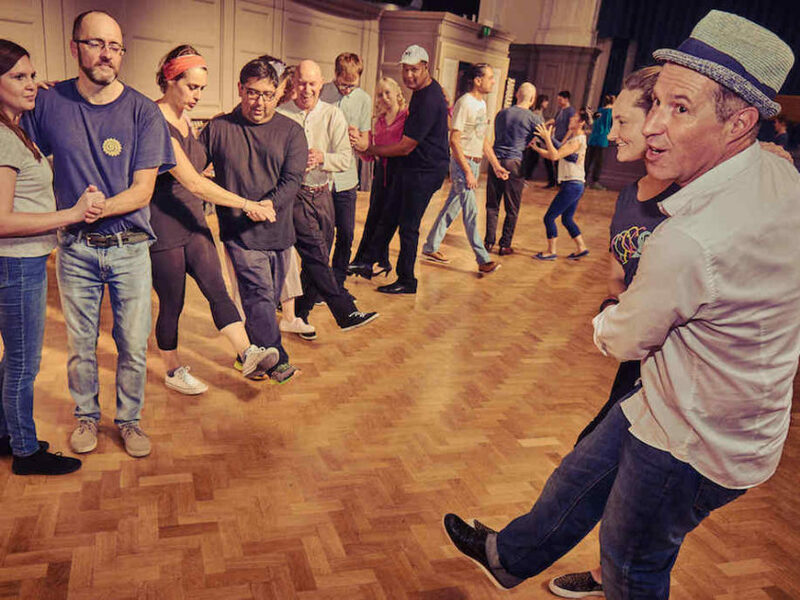 With their buzzing energy and community spirit Swing Patrol Streatham got off to a flying start and Rupert and Leah lead the way with plenty of fun both in and outside class. You could find our students dancing at the Streatham Blitz Party, the Meet our Scene ball, at the Ritzy cinema, the Swing Patrol Christmas Party…and all over! In May 2013 Leah passed the torch to Shani and the classes kept growing, with a level 2 class opening to accommodate all the Brixton Hill talent. Shani brought so much to Brixton Hill and was a great inspiration! Always out on the social floor, both leading and following, and performing and dancing at Blitz Parties, for Gay Pride and at events all over the world. 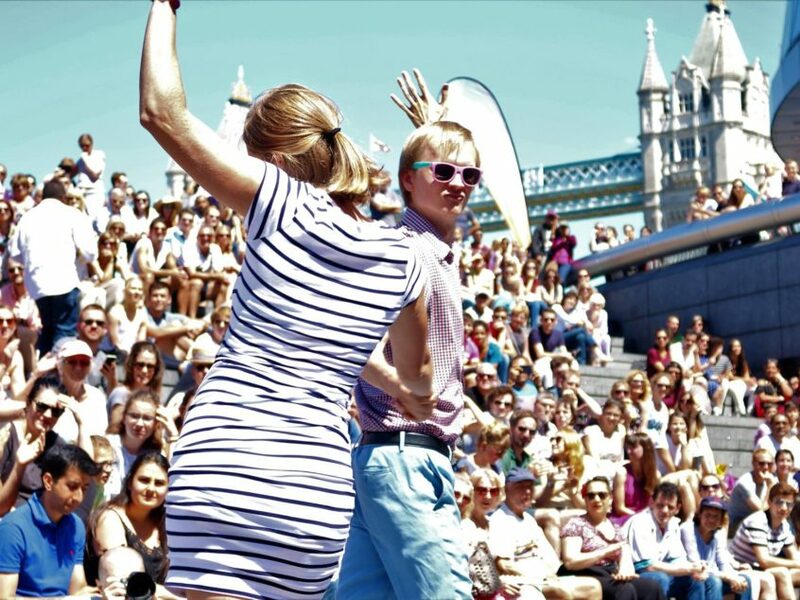 In February 2014 Michaela took over from Shani as Shani went on to teach at Swing Patrol Kings Cross. Michaela remembers that it was definitely some big shoes to fill and was quite nervous to join the well established Brixton Hill scene – luckily all the students were friendly and very welcoming! 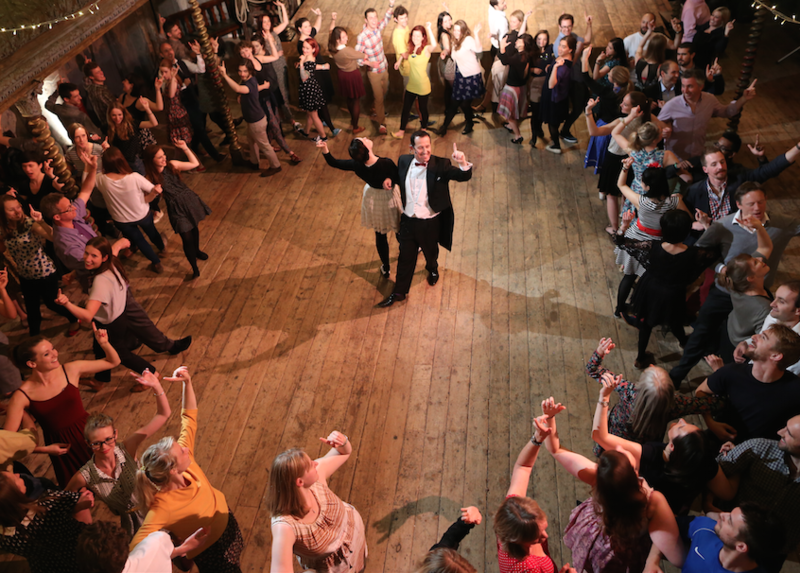 By the end of 2014 we had opened up a third class to give the Brixton students more room to grow – and we did our best to break all records with our performance ball routine (Rupert and Michaela logged about 24 hours worth of choreographing time to create the best routine we could muster!). Sadly at the end of 2015 it was time to say goodbye to long-standing teacher Rupert as he sailed off to New Zealand with Maya in search of more life and lindy hop opportunities. Rupert is missed in the London scene overall for his enthusiasm, passion, swing dancing talent and love for everyone in the scene. We know he’ll be creating a big splash out in New Zealand and hope he converts more people around the world to our little swing dancing bubble! Now in our 4th configuration with Fredrik Lindbom at the helm we are excited to add a bit of Swedish inspiration to Brixton Hill! Fred is a very hard working dancer and is putting all his efforts into making sure we create some awesome classes for our Brixton crew 🙂 we’re both super excited to see what we can do for Swing Patrol Brixton Hill in 2016! Herrang 2014 and 2015 – about 25 students came along for a week in Sweden for the last 2 years. As if they don’t spend enough time together back in London, the Brixton crew really can’t bear to be apart – which is why so many of them teamed up to take Herrang by storm for the past 2 years. Our students love to perform each year at the annual performance ball and they have produced some of the most memorable routines in recent years!! * Rupert was named Legend of the Year in 2014, and Michaela received the same title in 2015! * Brixton Hill students Blake McG and Lottie Bovingdon divide and conquer…winning competitions in their new home towns in Buenos Aires and Hong Kong! * Shani gave birth to Nico Ziggy this year! LEGEND OF THE YEAR 2018: NOMINATIONS NOW OPEN!